On Friday, bookstore giant Barnes & Noble announced that their sales for the fiscal year ending on April 30 were down 3.1% from the previous year, and yearly profits were down by more than half. Despite as much positive spin as they tried to put on things, the numbers weren't great (which, incidentally, was why they made the announcement on a Friday -- that's when stories tend to fall under the radar more often). More directly interesting to comic fans, though, was a comment from Chief Merchandising Officer Mary Amicucci in which she stated that they planned to continue to put attention on the graphic novel category "through increases in assortment choices and compelling promotions." The company last year doubled the amount of space devoted to graphic novels and manga, and it would seem Amicucci, who was only promoted into her position in January, has intentions of drawing more comics readers (and potential comics readers) to that area. 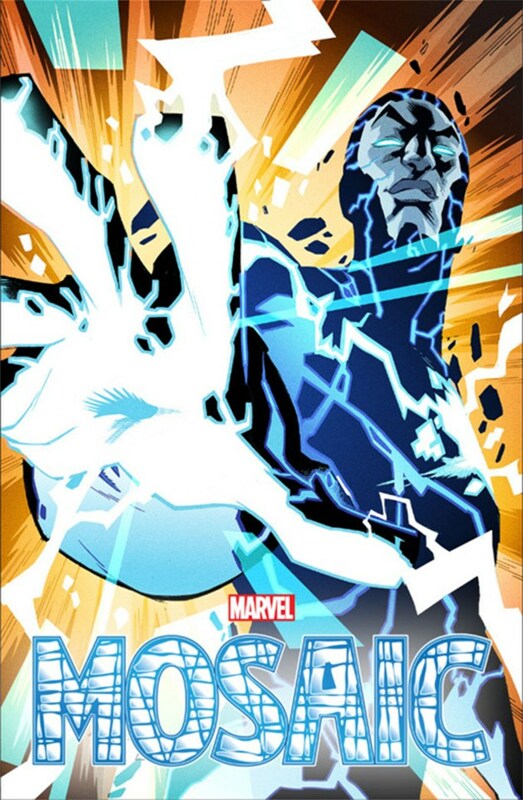 Which makes Marvel's announcements from last Monday regarding their upcoming new Mosaic series more interesting. Although not entirely lost in the various statements, one element that hasn't seemed to garner much attention is that the initial ten-age origin/preview story will be available in August only through Barnes & Noble stores. What attention I have seen given to that has come from comic retailers who've basically said, "What the hell, Marvel? We won't be able to get in on this?" My guess is that B&N essentially had this commissioned, not unlike a giveaway from Taco Bell or Craftsman. The difference here is that this just happens to be commissioned by a bookstore. 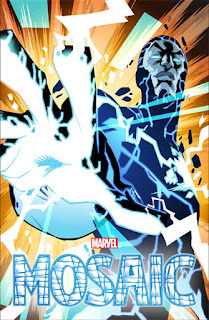 As far as I can tell, this Mosiac preview is intended to be in-continuity, unlike many of the other comic promotions publishers have done. But it also suggests that Barnes & Noble is committed to enlarging their comic reading audience, possibly using that continuity to draw customers away from local comic shops. I don't know how successful that will be, but it's a strangely specific tactic.